We both wanted to buy real hiking boots before we departed the U.S. for this journey. The task slipped down the To Do list until we found ourselves at REI a day or two before we flew out, sitting in the shoe department surrounded by towers of shoe boxes. I’ve never spent as much time in my life on a shoe purchase as on those boots. I’m a guy shopper: know what you want, stride in, locate the target, acquire, and exit. In a complete reversal of roles, my wife made her decision within about 40 minutes. For the boot purchase, I worked my way through two tortured shifts of kids in the Escondido REI shoe department. My quandary was, the pair I was starting to favor after the first couple of hours were the same brand she had chosen. I struggled mightily to avoid picking the same brand as my wife was happily hopping about the store wearing. I considered it the first step down the slippery slope that results in matching jogging suits and a yappy lap dog. But, in the end, they won out: Vasque. 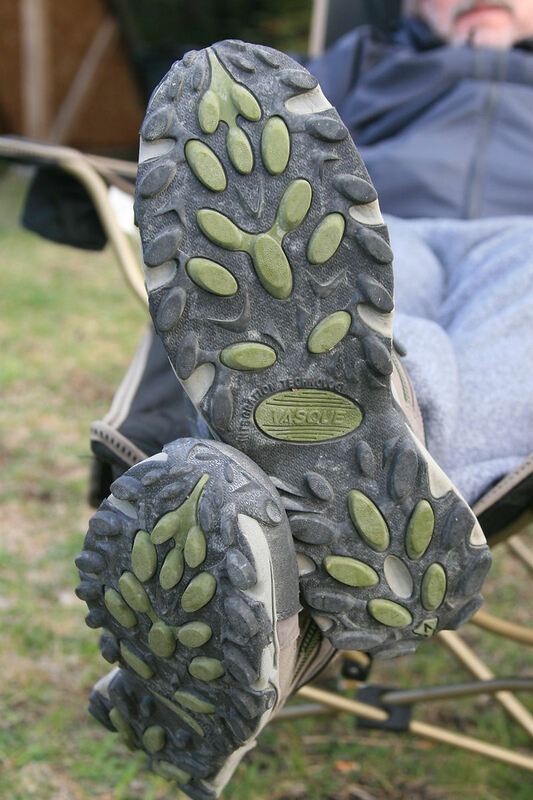 I’ve only purchased three pairs of boots in my life that were immediately comfortable: a pair of Italian street riding boots, a pair of MSR motocross boots (made by Alpinestar) and these Vasque hiking boots. A month or so into our South America trip I wore them around for a couple of days and then immediately took them on a five hour hike. Dumb, but somehow I got lucky. They are comfortable, durable, and lightweight. I’ve been wearing them every day since then. This entry was posted in 2008, Americas, Chile, Gear, Timeline, Travel. Bookmark the permalink.